Maskwacis Cree Territory: Central Alberta - south of Edmonton. 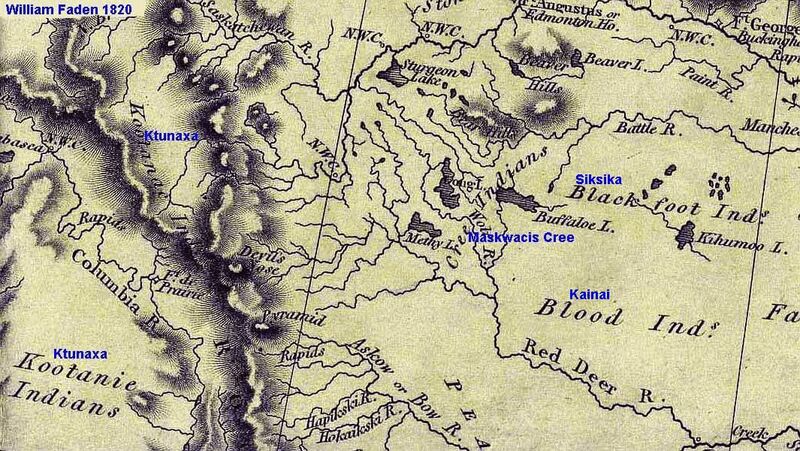 The Montana Cree were heavily involved on the losing side of the Riel Rebellion (in present day Saskatchewan) and fled to Montana as refugees. Then in 1896, under Chief Little Bear (Ineceas), they returned to Canada to live amongst the Maskwacis Cree. As such, they are listed as members of the Pegogamaw Cree. Some Montana Cree remained in Montana to live with the Chippewa Cree Tribe.